Create a bracelet to cherish forever. In this class, you will cut and place floral themed water slide decals onto the lightly colored pre-fired glass pieces provided. This is a class perfect for Mother’s Day. 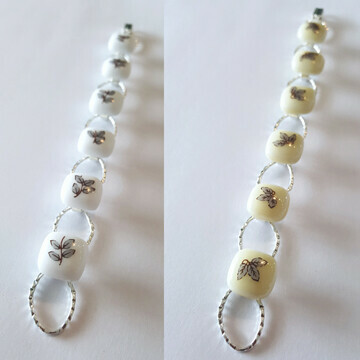 After class, the pieces will be fired in the kiln and glued onto a delicate silver bracelet.